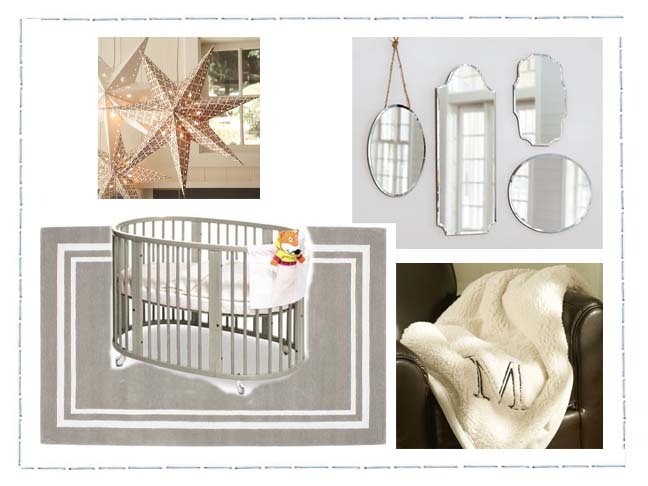 Having just celebrated the New Year, why not decorate your little one’s nursery in the festive and trendy shades of gold, silver, grey and white? When done right, the combination of these colors can be so sweet and elegant — perfect for a little baby girl. The Stokke Sleepi crib in gray ($850) is as functional as it is stylish. With the optional accessories, this crib grows with your child from bassinet to crib, to a toddler bed and even a youth bed. The grey is a perfect color to coordinate with a gold and silver nursery. 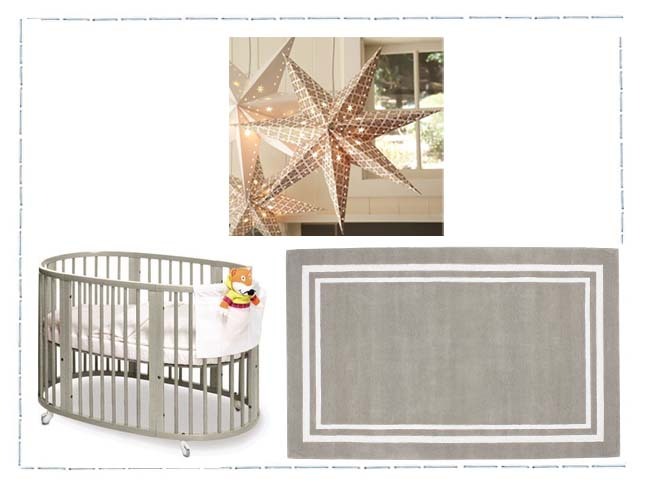 Add a soft glow to your nursery with the Gold star pendant ($19). Hang a cluster of these beautiful stars from a corner ceiling to create a soft glow and give your baby something to look at while she drifts off to dreamland. Keep the flooring simple but elegant with the Decorator border rug ($170-$700). This luxurious pure wool rug gives your nursery a soft place for your feet and brings more grey to the room. Nothing says luxury like the Pottery Barn Dupioni silk drapes ($70-$280). 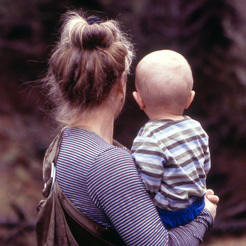 These drapes are made of threads of natural silk that vary in thickness. These drapes give your gold and silver room the perfect amount of shine but block out the light for those much-needed hours of sleep. 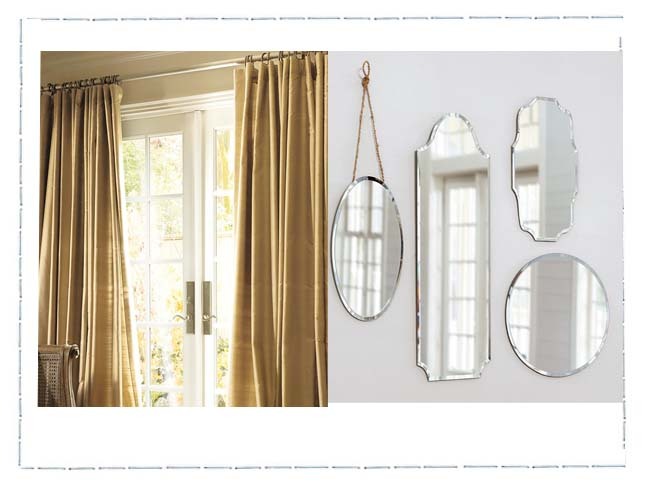 Hang a variation of the Eleanor frameless mirrors ($80-$100) on the wall to create a statement. These beveled glass mirrors give your nursery a classic look and give you a place to look over your shoulder — to see your sweet baby’s face. 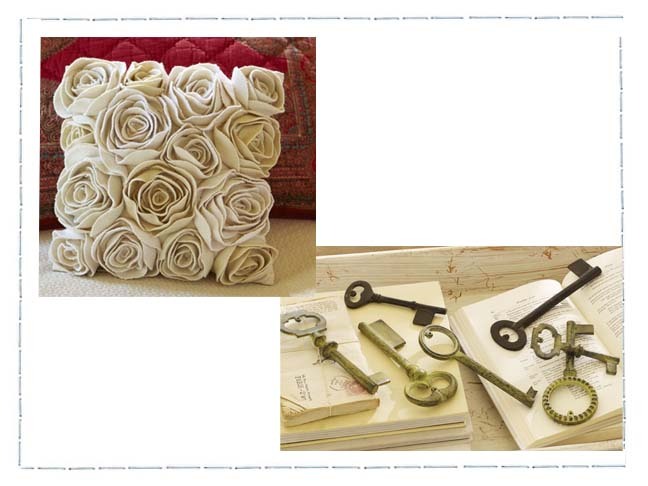 Accent your glider with this amazing Roses decorative pillow ($50). The soft wool roses add a simple beauty to the classic look of your decor. Hang these Vintage keys ($19) on the wall to bring more of the gold and silver hues to life. String each key on a strand of white tulle ribbon or hang them from nails depending on the look you desire. 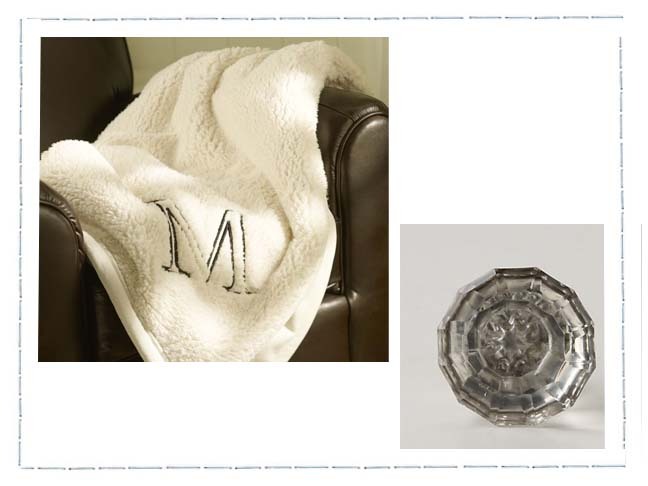 Monogram this Faux-sheepskin throw ($79) with your baby’s initial for a warm and cuddly keepsake. This beautiful blanket is easy to care for and is large enough to keep baby and mom warm and doubles as a comfy floor blanket. Accessorize your daughter’s dresser with the Prism knobs ($10 each) from Anthropologie. By changing out dresser drawer knobs, you can dress-up your furniture and coordinate miss-matched pieces.